New parents are bombarded with a million details to remember in order to safely navigate the first few months of a baby’s life. When preparing infant formula, however, you only need to remember these three words: wash, mix and warm. WASH: When in doubt, just wash it! Wash your hands, your bottles and formula mixing utensils, and your bottle preparation area. Remember newborn babies are more susceptible to illness, including food-borne illness, because their immune systems are not yet fully developed. Add safe water to the bottle before adding the formula. Use the measuring scoop that comes in your infant formula container or a measuring cup for liquid-concentrate; this ensures you’re mixing the correct proportions of formula with water. Use the amount of water and formula specified on the product container. Using too much water means your baby doesn’t get enough nutrition, and not using enough water can make your baby fussy and result in an upset stomach, diarrhea, etc. Measuring ready-to-use formula properly will also help make sure your baby receives the right amount to eat during one feeding. WARM: The first and only rule of bottle warming when preparing infant formula: don’t use the microwave! Microwaves heat food and bottles unevenly, which can result in hot spots that can seriously injure your child. So when it comes to warming a bottle, use a bottle warmer or place the bottle in a saucepan of heated water. 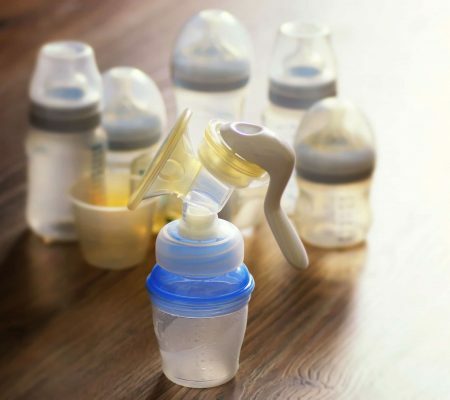 Room temperature and cold bottles of formula are also safe for baby to drink, depending on your baby’s preference. Finally, don’t forget to discard any prepared formula that is not used within 24-48 hours, or that’s been at room temperature for more than an hour, as well as any expired formula. Click here for more bottle prep tips.